Do you remember the Doozers from Fraggle Rock? Well now they have their own series! I'm so excited to share the two new DVDs with you. 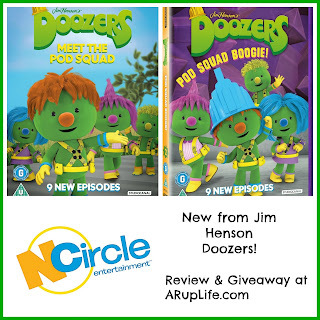 Welcome to Doozer Creek where the Doozers Live! They're green. They're cute. They're three inches tall and they're full of energy, ideas and enthusiasm! Meed the Pod Squad: Spike, Molly, Bolt, Flex and Daisy Wheel, who bounce from one fabulous kid adventure to the next. They love to DESIGN, CREATE and INNOVATE. These Doozers are DOERS- they put their ideas into action and always manage to have a fantastic time! Enjoy eight STEM-based adventures with the Doozers! The Pod Squad is performing in the Starlight Concer, but when they hear other Doozers singing, the group decides they need to do something quinque to stand out from the crowd. Using the sights and sounds around them, they each discover their own favorite sound and invent new instruments inspired by them. Enjoy seven other stories focusing on music, dance, and art all with science tie-ins! This is a cute show. The Doozers are cute, friendly and helpful. Perfect for preschool television. My little guy watched and enjoyed them. I liked how they problem solved with each other. They also are into inventing which is what J is telling us he wants to do when he grows up. I'm sure it will encourage him to build with his legos! 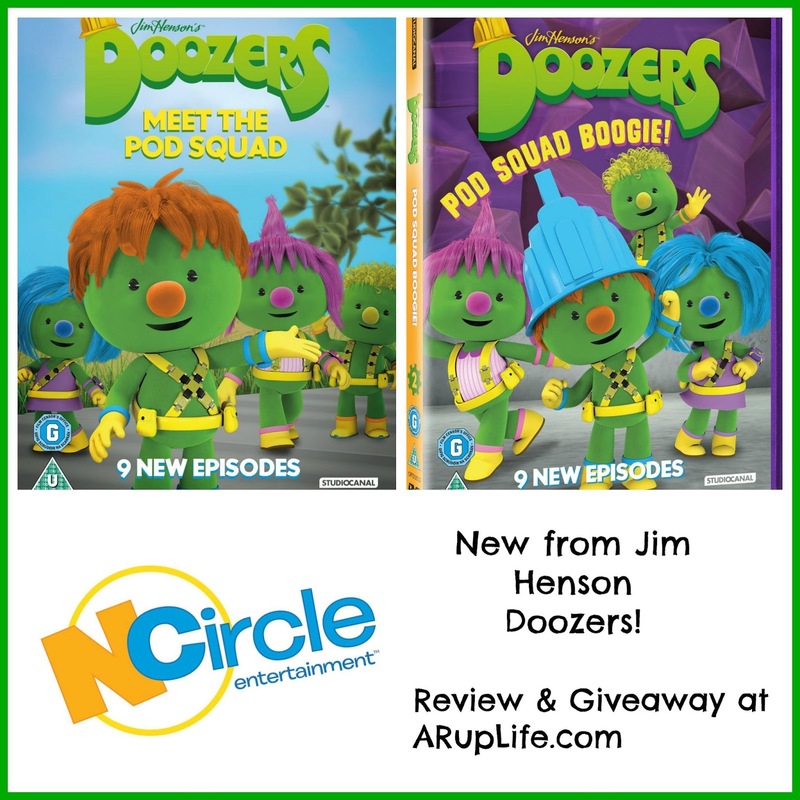 Doozers DVDs are now available at Target. Or for Pre-Order at N Circle (available 9/25). 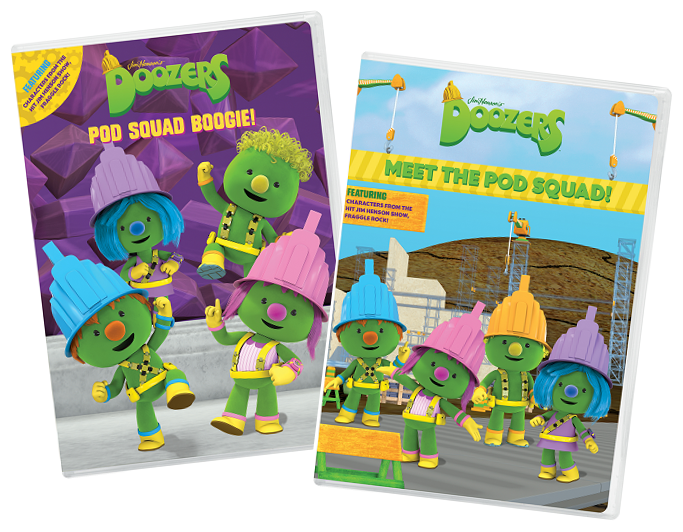 One lucky reader will win Meet The Pod Squad and Pod Squad Boogie on DVD!